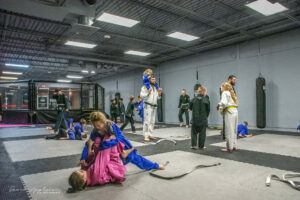 We offer open mat time for both adults and kids! Come hang out with us and practice your moves. Wrestling is a combat sport involving grappling type techniques such as clinch fighting, throws and takedowns, joint locks, pins, and other grappling holds.